When Alanis Obomsawin was six-months-old she returned to Canada with her parents to live in Odanak, their home reserve, on Québec’s lower south shore. It was in this close-knit community that she spent many a happy childhood moment singing songs and learning the stories of her people. In 1960 she made her professional debut as a singer in New York City. In 1967, NFB producers Joe Koenig and Bob Verrall invited the singer/storyteller to the Film Board to work as an advisor on a film about Aboriginal people. Obomsawin went on to direct films of her own, while continuing to perform and fight for justice for her people. Her first film was the 1971 short, Christmas at Moose Factory. She became one of Canada’s most distinguished filmmakers. Her film Kanehsatake: 270 Years of Resistance won 18 international awards. A lifetime member of the Board of Directors for the Aboriginal Peoples Television Network, Ms Obomsawin has also served as a Member of the Board for the Public Broadcasting System (PBS) in Vermont and National Geographic International. The asterisk (*) below indicates the 6 films that were gathered together in 1979 to form the National Film Board series, Sounds of Our People. Her 2016 film, We Can’t Make The Same Mistake Twice was selected to screen in the Masters program at the 2016 Toronto International Flm Festival. 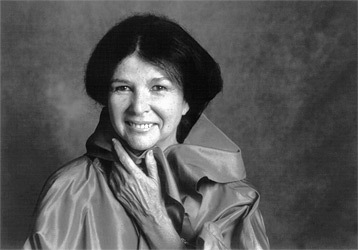 Also see: Alanis Obomsawin: A Portrait of a First Nations Filmmaker By Adrian Harewood. Also see: Tiff Waves the Flag.